"My impression is that MA1-related (ANE?) ancestry was present in South Central Asia before R1a-Z93 steppe people moved into the area during the Bronze Age. Any thoughts?" One for a start- Alberto is a bloody smart dude. So maybe there were further movement of ANE into Central Asia in the BA. If so, which does current central asian ANE mostly derive from ? My impression is that MA1-related (ANE?) ancestry was present in South Central Asia before R1a-Z93 steppe people moved into the area during the Bronze Age. It's taken a bit too long, but finally you get this impression. A big step forward. Understanding that ANE was in S-C Asia long before the Bronze Age opens a whole new world of possibilities, some of them that make a lot of sense. One for a start- Alberto is a bloody smart dude. He, he, thanks Mike, but really this one was not a difficult impression to get. Whether correct or not (when we get samples to prove it or disprove it), I think it's the more reasonable option with the data available. If David was not seeing it it's just because of his specific preferences. Otherwise he would have seen the possibility long ago. Now that we have EHG and Yamnaya, MA1 as an ANE proxy for Europe seems rather superfluous. Central Asia and even the Lezgins do look like a different story based on these graphs, but I think we all suspected that. Dave can you break it down what exactly these results suggest ? It's hard to say exactly what these results suggest. The important thing to be aware of is that when the modern samples are all hugging the red line then the two ancient samples are very similar. When they're not all hugging the red line, then there must be some important differences between the ancient samples and the ways in which they're related to the modern samples. Also, as per Allentoft et al., a point away "from the diagonal line indicates an ancient group with relative increase in allele sharing with the respective modern populations". So I'm getting modern Central asians are further away from andronovo, Afansievo and Yamnaya than MA-1, but closer to the former 3 than EHG. To me, this means that so as yet undefined population contributed to the formation of Yamnaya from EHG as well as to modern central asians, but without direct Yamnaya input !? The culture of the Samara hunter has mixed roots. Some of those include Turkmenistan. I think it is this ancient group related to EHG, that gives the inflated Sintashta scores, which is what I've been saying for a while. There was a pretty sizable movement from SC Asia, to the Caucasus, where we also see ASI. Even Admixture separates the Caucasus from EHG, rather repeatedly. This EHG related stuff is probably why some populations get this 2% Amerindian stuff, outside of the Caucasus and Yamnaya components. Another thing that may be causing an issue is that MA1 is old enough that it still acts like he has Basal Eurasian. When fixing MA1, EHG, Bedouins, EEF, and WHG as components, Yamnaya comes out as a mix of MA1, EHG, and WHG, without any farmer component. Also, the fact that SC Asians have very little EEF and next to no WHG, meaning not a lot of actual Sintashta ancestry, they pull more off that cline featuring West Asians and Europeans. I'm honestly betting on SC Asian percentages of Sintashta ancestry being similar to Western and SW European levels of Yamnaya ancestry. Final point on that admixture with MA1, EHG, and WHG; PCA even reflects this, with Yamnaya being 2/3 of the way from WHG, towards MA1, only slightly EHG shifted off of that line. "One for a start- Alberto is a bloody smart dude." Ive seen this chatter so many times; nothing ever becomes of it. Why? Please don't take this personal however,if you really are that confident in this work,[it sounds like you are quite convinced] and your theories/knowledge and smarts, why not commit; put your names to something,and publish as a team you could even use "Eurogenes et al" aka also known as dream team. You are quick to comment on other papers/work, so why not throw your hat in the ring.At least we will know exactly where you stand. It's like the PCAs suggested: SC-Asians and Lezgins are shifted eastwards, towards MA-1 and ANE, but not towards EHG. This may be a rather old relationship with ANE, i.e. Paleolithic. It's unlikely that this changes anything about the origin of R-M417, as this marker has a TMRCA of 5500 ybp according to current estimates based on full yDNA sequencing. Afanasievo - Ma1, Afanasievo - EHG, Afanasievo - Yamnaya, EHG - Ma1 and Yamnaya - Ma1 show quite nicely only this Eurasian - Near Eastern cline. It is of fundamental importance and the point of departure for all figures. Only Central Asians differ in their higher Ma1/ ANE ancestry. Andronovo - Ma1 gives somewhat different result. Central Asians are again outliers, but I recall that Andronovo mtDNA was very northern hunter gatherer like. The cline is the same but Western Europeans are closer to Andronovo than they were to Afanasievo, Ma1, EHG or Yamnaya. Sintashta - Ma1 shows the same pattern. Western Europeans are probably higher up in the last two figures because Andronovo (?) and in particular Sintashta have ENF. I would be interested to see where populations such as Kazakhs, Altaians, Khakas and Shors who live in those areas would plot. Something relatively related to MA-1 at any rate. "Something relatively related to MA-1 at any rate". IMO- no such population exists today..
Would you care to clarify your statement further ? To me, this means that so as yet undefined population contributed to the formation of Yamnaya from EHG as well as to modern central asians, but without direct Yamnaya input !? Yes, I think that's correct. This yet undefined population has actually been given many manes: Ancestral North Indian (ANI), Caucasus-like, Armenian-like, "Teal people", Gedrosia,... I hope we get a standard name for them soon. The culture of the Samara hunter has mixed roots. Some of those include Turkmenistan. I think it is this ancient group related to EHG, that gives the inflated Sintashta scores, which is what I've been saying for a while. There was a pretty sizable movement from SC Asia, to the Caucasus, where we also see ASI. A day to celebrate. We're moving forward, exploring other perspectives and possibilities. This will surely make for a much more interesting debate until we get new data. (E.g. the West Asians like Georgians, are associated with highest Yamnaya D stat - EHG D stat, etc. I guess in theory because they are relatively related to a population which mixed with EHG to create Yamnaya). Mike: IMO- no such population exists today.. Thanks. Ah, I didn't really have anything special in mind. I think the models proposed above in the comments by Alberto et al and Davidski's comments seem pretty good here and I don't really have anything more to add. Unsurprising based on the frequencies found outside of Europe and the Americas. Indian subcontinent populations (from Brahmins to rural Southern tribals) almost always have a substantial amount of ANE (>25%). The intuitive scenario was always (to me at least) that most of it was already established before any Indo-Iranian related migrations took place. Nice to see Alberto was propping this idea up at Eurogenes! Across the charts, the intra-Turkish population differences are really remarkable. Lots of layers behind that, obviously -- but still, such inadequate attention to Anatolian/Turkish regional differences. Good catch! Looks like R1a-z93 is not the only game in town. It looks like South Asian ancestry has a profound impact on any group that has significant South Asian admixture. So whatever ASI really is, it's quite unique. Afanasievo, Yamnaya and Corded Ware aren't affected by this, although they do show excess ANE over EHG, and that's because unlike other Europeans they lack WHG. In fact, there are two clines on this new graph; one for West Eurasians (marked with the red line), and another for South Asians, Central Asians, Afanasievo, Corded Ware and Yamnaya. I'd say it's mostly the South Asian input in South and Central Asians that makes them so distinct from the Early Bronze Age steppe groups. I've updated the spreadsheet with the new stats. Thats what some people(including me) were tying to explain you from the beginning. Not only was it there before Bronze Age. ANE was a component which probably originates in South_Central Asia and was once widespred from South_Central Asia all the way into North Eurasia and Siberia. That theory goes in hand with how ANE reached the Western Asia through the Iranian Plateau and created the Eastern farmers during the late neolithic. While I agree that there is obvious movements into the Caucasus, I don't see it in Yamnaya, speaking about South Asian, so it may post-date them. Whatever is in Yamnaya, is from pretty early on, likely something that reached the Caucasus by 6000 BCE. Well its well known im not the brightest crayon in the pack. However some diagrams with bright colours caught my eye, along with some stats besides ANE[like skin mutational genes etc] Mezmaiskaya Cave in relation to Altai- Vindija & Denisovan frequency amongst ANE rich regions R&Q. For example one would expect a trail of Denisovan rich[ghost pop]admixed to track into North America and or Caucasus. Obviously there were movements into Yamnaya from Caucasus and Caucasus had movements from SC Asia-Iran Etc. The Case of Sintashta and Andronovo is different, Archaeologically i can say that they had clear influence from the South, but some aDNA from ''South'' will also clear the case genetics wise. Urals had movements from Caspian area (South) from Zagros and they weren't farmers but herders. So as you see its not that simple. BTW thanks for those links:). David, Any Chance you will like to resume that Afanasevo-R1a post of yours?:). The other day I was looking at Lazaridis 2013 K20 admixture tables and I noticed that the only thing that differs Burushos from surrounding Pathans and Sindhi is the presence of significant East Asian component. I checked for the Y DNA and it comes out that they have higher than their neighbours C3, Q, O. For example Kalashs had non of them. It seems that they have some Siberian ancestry. From linguistic point it also points to the same direction. Well there is no consensus for the linguistics. But I looked at the recent Davidski's K12 and there also they have some Atayal component. I think in the case of Burushos the genetics will help to better classify that isolated language. Please take my suggestion on board about having spaces In between paragraphs ! Davidski, congratulations on extracting some more information from the Haak and Allentoft data. I thought that by this time there was nothing more to squeeze out of them. With this information, I suppose you no longer trust your qpAdm model showing Pathans as 65% Steppe. To me it seems like this is what TreeMix is picking up. Matt, what do you think? But in any case, the the only way to settle this is with ancient DNA from pre-Bronze Age and also maybe pre-Neolithic South Asia. I'd say everyone here is aware of that. What I was referring to was modeling Pathans as Andronovo + Georgian + Dai. Andronovo or Sintashta do not work as ancestors of Pathans in the light of your new work. The Treemix results are consistent with Pathans as 65% ANI and 35% ASI. Using Davidski's K12 admixture analysis I made a visual graph were I organized BA_Armenian samples in chronological order. Of course the sampling is small and some are of poor quality, but the pro is that they all come from close places. So comparing them between each other can give some information. The pattern I see is the decreasing of Bedouin. The increase of Afanasyevo is visible. but it is less stable. The most unstable component is the EHG. The oldest sample has virtualy no EHG (of course it can have some in the Afanesyevo, but not much). Is it a pure coincidence or not we will know from neolithic samples. I hope Pinhasi achieved to retrieve some data from Areni cave sample. The unstable character of EHG favours the idea that it is intrusive. Yamnaya doesn't have any of the South Asian component, like the Caucasus pops. They're just showing something that peaks in the Caucasus, for me. It doesn't look like the same process. "Nah you guys will eventually find it"
What evidence is there to support this statement? "btw i'm not favoring OIT......"
What is your actual position, then? My Actual Position is South Of Caspian ( N Iran) for PIE but its also Stretched to C and SC Asia. "I can't tell that sorry:),"
"My Actual Position is South Of Caspian ( N Iran) for PIE but its also Stretched to C and SC Asia." All the prehistoric groups in this stretch of land were settled agriculturalists. Southern Caspian farmers by the time of PIE (6kya) were highly similar to groups from across the Zagros archaeologically speaking. In that respect, your position is essentially an eastern variant of Renfrew's Anatolian hypothesis (e.g. farmers expanded out of Anatolia in a demic diffusion model and the spread of IE accompanied settled agriculturalists). The comparative method and other linguistic tools firmly demonstrate the PIE's were not settled agriculturalists. It is on these grounds that Renfrew's hypothesis has been rejected by most linguists. The Indo-European enigma is (or was) a linguistic problem above all else. In that respect, we can safely exclude a South Caspian origin for PIE. There are far too many problems with this perspective to expound upon in a single blog comment (f.ex., if South Caspian agriculturalists are PIE's, what are their archaeological kin near the Kuwaiti border supposed to be?). Later interactions between Andronovo and southern agriculturalists is another story entirely. You Conception is wrong and misleading and boring also, i gave you a link on Indo-Iranians a while back, did you read?. You can also read this, it gives a more or less a neutral POV. My concepts are based on careful observations. "The comparative method and other linguistic tools firmly demonstrate the PIE's were not settled agriculturalists"
The comparative method is the basis of understanding the relationships and phylogeny of IE languages, and even there, a solely tree application has impeded a proper analysis of language development and forced analysis of the archaeological evidence to be circular. It is paleolexicology which claims that IE is a steppic language. To me, the way palaeolinguistics has been used in this question can be a likened to alchemy and soothsaying. I'm guessing the Ma1 stats are again produced with your K8 model, which doesn't seem reliable, as we have discussed elsewhere (there's no absolute Ma1 or X affinity but correlative to some control or controls, whose correct or incorrect choice is decisive). Correct me if I'm wrong. Said that it is indeed plausible that there was Ma1-affinity in the near-Pakistan area long before the Indo-Aryan flow, as the recent paper on the Kalash suggests. These are D-stats, they have nothing to do with K8 or any other admixture calculator. They are comparing affinity to MA-1 directly, using the genome. Yes, I think we're all aware that only ancient DNA can give real answers. Besides, The MA-1 affinity should be taken with caution, since comparing it to the affinity of much more modern samples is not exactly apples to apples. But that being said, the pattern that we also see in admixture seems consistent with the results: The WHG/ANE ratio on Europe is very high, and in S-C Asia too low. This suggests that ANE expanded to a large extent independently of WHG, not together with it. The ASI doesn't seem to be preventing Pathans from having significantly higher affinity to Afanasievo than Iraqi_Jew has. The same patter can be seen in IBS sharing. With Corded Ware, Pathans appear very low, below Tunisian_Jew. But with Yamnaya they are significantly higher can Tunisian_Jew. Which basically makes the model of Pathans being 65% Sintashta/Andronovo quite difficult to be correct, or even close. If indeed R1a-Z93 went from Andronovo to India, it had to have much lower autosomal impact than the R1a frequency suggests (nothing strange, in any case. Similar as R1b in Iberia). Though I'll still wait for some southern DNA to see what happened with R1a in the area. Does the pattern hold as strong in a D-stat comparison without the BedouinB reference? @Shaikorth, I don't know if this answers the question, but I think the Pop1 reference should not alter patterns as on the whole D-stats seem to behave as linearly additive/subtractive (as I think do f4 stats, and this is why qpAdm can work as it does). I think (at least based on the other exercise and other observations). Might change for populations with really radically distant phylogeny as Pop1. Somehow. Yes, I've noticed that pattern. BedouinB are sort of special when it comes to phylogenic distance, which is why I'd like to see the comparisons mentioned. It seems that the issue is ANE. Pathans have more than Sintashta and these Jews, but about the same level as Afanasievo. So what we're looking at here are layers of factors, and it's difficult to isolate one from another. The main issues for South and South Central Asians appear to be the as yet undefined properly ASI and really basal (?) Near Eastern Neolithic admixture. The question is whether their combined affects are strong enough to create the discordance between the affinity and ancestry proportions formal tests that we're seeing. Can you please give your contact mail in my blog? :) ( I will not publish of course). I would like to discuss something with you. I was checking your K12, The Afanasevo component has very high scores in Kalasha and even Brahui get a notable score, probably this has to do with ANE. It is of course possible that ASI has some undefined internal structure. Agreed. Oh, the irony! The ones that diluted ANE almost to extinction must have been IE. Rokus, no, there was also the Turkic expansion, it diluted it even more. As the Tajiks, Kalash, Pashtuns speak IE languages, whereas most modern central Asians speak Turkic languages. Certainly the Yamnaya people were not pure ANE, nobody claimed this, and neither are the modern people with the strongest ANE IE. But, the Yamnaya guys had ANE, and they and their relatives the Corded people were responsible for most ANE in Europe, except for some of the ANE in southern Europe. The peoples of the South Casipan shore in Iran, the Gilaki, the Mazandarani and the Talysh are also Indo-Iranians, i.e. they have more continuity with the ancient inhabitants of the area than Turkic peoples. I guess they might have rather strong ANE too, would be interesting to see. Yes, I'm eagerly waiting for those samples from the Hotu and Belt caves (Mesolithic South Caspian). There's a chance they could be a modern version of MA-1. They are listed at Pinhasi's site, so I hope we can hear some news about them soon. But what about ENF farmers? Are not they supposed to move to the East trough the Northern Iran route? Maybe the North Iran is the place where ENF meets ANE? Yes, somewhere around that area, I would guess, and extending to the east and probably south. That could be the core area of this semi-hypothetical ANI population. Simon, in fact, I wanted to see where Turkic speaking Shors, Khakass and Altaians would place in those figures and to get an idea of their ANE percentage. You cannot say much about Turkic groups as long as you do not even put them on the spreadsheets. Where on the map do you see this near extinction of ANE more specifically? In Turkey? In Iran? In any case, I am more than pleased to note that Lithuanians and Estonians are the closest populations to Yamnaya and Sintashta and closest to Andronovo together with Scots and Norwegians. We know that Lithuanian is closest to the putative IE proto-language, so there surely is a connection between this autosomal similarity with the above ancient groups and closeness to proto-IE. The fact that Estonians and often also Saamis are closer to these putative IE populations than most Western IE speaking populations gives new perspective to the existence of well-known structural and lexical parallels between IE-languages and Uralic languages. The deep roots of IE languages would be better understood if we got autosomal and yDNA data of supposed Tocharian and Hittite individuals. Shors, Khakass and Altaians have too much East Eurasian admixture to produce useful results in these graphs. Chuvashs are about the limit of who I can include. They have around 20% ENA. I agree that Altaians seem to have c. 20% HAN and that brings a completely new dimension to the graph. Is that the reason why it is not useful? Anyway, I would be very interested to see the relationship of modern Altaians with Afanasievo, Sintashta and Andronovo samples; and also because we know that Siberian mtDNA has been found in ancient samples. Does anyone know if anybody has done these comparisons? Are there any Turkic bloggers? :-) I would be interested in a comparison with Afanasievo/Sintashta/Andronovo, North and East Europeans and Central Asians excluding populations with a high Near Eastern percentage if it is problematic to have too many disparate components. Hotu and Belt caves will yield R1a. and the original distribution being a bull's head with the horns extending across northern central Eurasia (including NW Europe in the ice age but retreating to NE Europe after) and the head being the Himalayas. it's the interior bowl of northern Eurasia beyond the various mountain ranges plus extending south into the Himalayas maybe as far as northern India. I think it's probably connected to being distant from the sea - iodine maybe. The big difference between southern ANE and northern ANE: horses. "With this information, I suppose you no longer trust your qpAdm model showing Pathans as 65% Steppe." Depends if there's a "when" involved i.e. "stop your nonsense! or start to write a book!! :D"
I'm too ADD to read books let alone write them. Bite-sized internet studying is all I can handle. if you subtract an assumed Turkic/Mongol wedge from the middle section what do you get? You get a gigantic red bull's head covering the interior of Eurasia. Oops, reading the posts backwards from most recent and apparently the ANE map was done by Sergey from Davidski's data, apologies to Sergey. Of Course the Turkik expansion displaced and diluted ANE but the origin of ANE needs further investigation and sampling. Any predictions when the Pinhasi research will be published?. Don't forget of Chengiz khans genocidal massacres which totally wiped out many Central Asian cities. People from mountanious areas should have effected less compared to lowlanders. Due to massacres and famines, not able to work farms, Iran's population decreased from 2.5m to 250k people and China's from 120m to 60m or so. Kazakhs have c. 50% Mongolic component + some HAN and Japanese/Tungusic. I assume that this Central Asian wedge is the result of Silk Road trading and Mongol expansion. MfA, are sure that Indo-Europeans did not commit any massacres before Genghis Khan? I am pretty sure that in Central Asia/ Central North Asia there were several groups high in ANE who were not IE speakers. There are still language isolates such as Burusho and Ket, and, in addition to Central Asia, ANE rich Caucasus Mountains have a myriad of isolated language families. Moreover, the origin of Turkic languages is unknown to us and it probably lies in an autochthonous language(s) of Central Asia. Uralic speakers are also high in ANE but I think that their origin is in EHG-rich Western Russia. Just for the case no one mentioned it. This map is for the case of the Near East totally incorrect. I don't know what has been the reason for this. But the Kurdish populated regions are shown with less ANE than whole of Turkey, despite the Kurdish population having more ANE than Azerbaijanis and equal ANE to Georgians and Iranians. Also Iranians have very slightly more ANE than Azerbaijanis not the opposite. I critized this map some time ago. Not only does it also lack percentages of some important South_Central Asian places. "Don't forget of Chengiz khans genocidal massacres which totally wiped out many Central Asian cities. People from mountanious areas should have effected less compared to lowlanders." Quite. It's an assumption but given the Mongol expansion it seems at least possible that the central green belt used to be red also. And yes nearby mountain refuge populations might be interesting in this regard e.g. Yaghnobi. "I am pretty sure that in Central Asia/ Central North Asia there were several groups high in ANE who were not IE speakers." That would be the implication if the original distribution of ANE was very wide so any IE ANE expansion would be over the top of non-IE ANE. "This map is for the case of the Near East totally incorrect." I can't argue on that. My point is simply that if you take the map at face value and then assume that the central green wedge is a result of the later Mongol expansion then that possible original distribution jumps out at you and kinda points at possible explanations: something to do with being interior. "That would be the implication if the original distribution of ANE was very wide so any IE ANE expansion would be over the top of non-IE ANE." Oh, I am sure that it was very wide already before IE expansion: in the North Eastern corner, non-IE Kets are 66% ANE and Eskimos are 67% ANE, in the South Eastern corner, Burusho probably have the same amount, in the South Western corner, non-IE Caucasians are very high in ANE and in the North Western corner, ANE was surely present in Fennoscandia (Motala was 22% ANE) and Baltic area before Bronze Age. If IE languages spread from Eastern Europe where people were high in WHG and already had ENF, also IE expansion lowered ANE in Central Asia. Though the question is not to me but i find that question ridiculous. Also the reverse, there were several IE speaking groups, who of course had high ANE.
" then assume that the central green wedge is a result of the later Mongol expansion then that possible original distribution jumps out at you and kinda points at possible explanations: something to do with being interior." The East Eurasian/mongolic cline between three hotspots of ANE are very visible. So yes you are correct in that. I think the Neolithic Eastern farmers(also known as "teal people") were the first to delute the ANE frequency in South_Central Asia from near 90~ down to near ~65%. Second group to delute the ANE frequency were the PIE from near 65% to 35-40% in South and Central Asia. third and most significant for Central Asia at least, were the Mongolic/Altaic expansions which deluded ANE frequency down to ~15% in some Central Asian countries. Kurti, for curiosity, I would like to know these Central Asian countries that have 15% ANE? and where the PIE came from?. Personally I don't buy this theory that the Turkic people didn't have East Asian admixture from the beginning and that it was all imparted by Mongols. I mean, why do Central Asians still speak Turkic, when they're supposedly half Mongols? Why is there East Asian admixture in every Turkic population, even in Anatolian Turks? Because of Mongols they say, but I don't buy this. Why do Persians have much less East Asian admixture than Anatolian Turks? They belonged to the Mongolian Empire for a longer time after all. No, the most natural explanation is that the proto-Turkic homeland was quite far in the east where there was considerable East Asian admixture. According to the K8 spreadsheet, Mongolians are c. 70% East Asian, Kazakhs are c. 50% East Asian. So they would have to be 70% Mongolian, if it was all from Mongolians - a ridiculous assumption. Regarding pre-Mongol invasion Turkic peoples: we actually have some descriptions of their appeareance and according to them already in the early Middle Ages Turkic peoples were racially diverse. They brought a huge pumpkin kangun wide and kangun long and drew the face of the king of the Huns: instead of eyelashes draw lines that could not be seen, a place where should be beard, left disgusting naked, nostrils made 1 span [~20cm] wide, moustache - a rare, so it was easy to recognize him. Then brought [painted] pumpkin, and put on the wall face to him, and, turning to the enemy soldiers, began to shout: "Here he is, your king, come worship him. This is the Jebu Hakan!" "Their inhabitants are all tall and have large bodies, with red hair, green eyes. Having black hair is conseidered to be unhappy." Part of ENA in Siberia seems to be ANE. C-M217 was surely the most typical Mongolic haplogroup as we know that it is Genghis Khan’s haplogroup. IMO, Q and R1b-M73 were mostly ANE and/or Siberian, R1a-Z93 was ANE and/or EHG, N1c was probably EHG, N1b was EHG and/or Siberian. On the basis of their yDNA, I think that Central Asian/Altaian origin is the most plausible one for the proto-Turkic language. Autosomally speaking Siberian is ENA, so proto-Turks surely had ENA. It is an autochtonous component in the Altai area. @Kristina as far as I remember Kyrgyz and some Kazakhs have close to 15% Some even less than that. I have expressed my opinion on that matter a few times now. There are two if not four possibilities. A group from the Region between the Zagros/Albruz-Taurus mountains and South Caucasus as the "teal people" taking the Caucasus route towards Maykop and from their into the general Steppes. Now the question is, where those "Teal People" already the PIE, this would be an explanation why the earliest known Indo European groups appear in this region mentioned as the "teal Homeland" (Hittites, Mitanni and few other). And this would make the Pontic Caspian Steppes a secondary homeland/Layover to most of the known "Northern" Indo European. Thats one theory. Or the "teal People" were just one very important part of the PIE ancestors who merged with other groups further North and even East of the Steppes and became the PIE. Another reasonable theory is. That after those "Teal people" emerged in the region between Zagros/Albruz and Taurus mountains and migrated through North Iran into South_Central Asia, those Central Asian "Teal People" might have been the PIE. And therefore the PIE might have originated in the Region between the Albruz mountains and South_Central Asia and just like in the theory above the Steppes were a secondary homeland/Layover to some Northern Indo European branches. Or the "Teal People" were just one important part of the PIE and took the Eastern Caspian route and merged in the Steppes with other groups to become the PIE. Thats what I think about this. Kyrgyz and Kazakhs are autosomally very similar, but Kyrgys have much more yDNA R1a than Kazaks (63.5% v. 15%). When I compare Kyrgyz and Kazakhs with Shors and Khakass, I see that Kyrgyz and Kazaks have more HAN and some Near Eastern and are less Siberian while Shors and Khakass do not have any Near Eastern and have more North European. South Asian admixture is the same. So, we could conclude that Han and Near Eastern reduce ANE and North European and Siberian increases it. And the main force of the Mongolian empire was Turks anyway, at least in the west "
Thats just a theory brought up by very few (mostly Turkish) schoolers by the fact that Europeans simply called everything Mongol looking and from Siberia "Tatars". But in reality the very first victims of the Mongols were the Turkic groups themselves. Especially the Tatars were almost eradicated by Mongols. There is no doubt that the East Eurasian admixture in Turks predates the Mongol expansion, at the end of the day they belong to the Altaic language family. But there is also very small doubt that they ethnically always differed from Mongols. The Turkic people are just another branch of the Altai mountains. The Turkic people are nowadays very diverse but the Proto Turks probably were just another Altaic branch with the difference that they were significantly more Iranic shifted what brings me to the conclusion that the Iranic and probably Tocharian ancestry played a significant role in the Turkic ethnogenesis, yet predominantly they were Altaic group no doubt there. The further westward they moved the more Iranic they became. Even their Elite among the Gökturk (very first Turkic group) also known as Ashina were basically a Scythian clan. Ashina meaning "blue" or "blue sky" still the same meaning found in the Kurdish and Pashtun word of shin (meaning blue) and Asman meaning sky. Asman Shina would mean in Kurdish the sky is blue. Ashina =Asman Shina? Just a theory. But that Ashina and Shin share the same etmythology is out of doubt. Interestingly the term "Gökturks" s the Turkic word for "Sky Turks"
A slightly off topic question and if i recall correctly, it has been done and answered negatively before, but anyway. Is it possible to model MA-1 as a Karitiana/Brahui mixture? the PCA plots on Lazaridis 2013 seem to suggest something like that. More about the Ashina. It is said that the oldest inscription of the Ashina Dynasty are written in Sogdian. Seems like the Ashina Dynasty for whatever reason were to become part of one of the earliest Turkic people. The absorbation of Iranic groups to Turkic groups is very well documented but now the very confusing part of all this. There is no indiciation or hints to any forcefull "assimilation". From one day to other suddenly former Iranic groups start to appear as Turkic groups. What brings me again to my earlier conclusion that this has to do with the Hunnic confederation. Where knownly Steppic horse nomads of Iranic(White Huns) and Altaic (asiatic Huns) merged into one group. And I think Turkic groups are the result of this former alliance. Take in mind that doesn't make the Huns a Turkic groups, that does make the Turkic groups descend of Huns(mostly Asiatic Huns though). As for Turks. vs Mongols: on the ADMIXTURE plot from Haak et al. 2014, the Eastern component in Turks from Turkey looks a lot like what is found in Altai Turks, while central Asian turks have more "East Asian" and less "Siberian" -exactly the same pattern as Mongol speaking groups. As such, i would say the genetic impact of Mongol expansions was largely restricted to Central Asia, and Turks were originally like present-day Altaians.
" So, we could conclude that Han and Near Eastern reduce ANE and North European and Siberian increases it. " Unlikely if not impossible. If you take a loot at the Mal'ta (what is taken as referrence of ANE) paper you will realize that Mal'ta had close to non Siberian ancestry. In fact it is the "Siberian" and "East Asian" in modern Siberians what delutes the ANE frequency. ANE seems to have played a role in the formation of 3 major components ( North European, Caucaso_Gedrosia and Amerindian) and slightly smaller role in few other components (ASI, Southeast Asian I remember). Siberian signal in Mal'ta was around few percentage, so noisy. Absolutely no way that this delutes the ANE frequency. If that was the case Pashtuns and Kalash with more West Asian ancestry would score less ANE than Kyrgyz and Kazakhs but it's quite the opposite. The theory does not add up. If I remember correctly, there was also a lot of Q and R in Mongolia and the amount of C-M217 increased through the Iron Age to the Middle Ages. By contrast, ancient Chinese N has nothing to do with Turkic N, and N-LLyG in China is an old autochtonous lineage. Grammatically Turkic is not that different from IE- and Uralic languages. Languages in Tibet, China and Northeast Asia are much more different. IMO, Korean and Japanese are also very particular and far from common Turkic. "Thats just a theory brought up by very few (mostly Turkish) schoolers by the fact that Europeans simply called everything Mongol looking and from Siberia "Tatars"." Kurti, I don't think it's just a theory. It happened in historical times and we have testimony, and afterall, the main language of western Mingol domains was Kipchak, wasnt it ? Kurti I basically agree with you about Siberian, but the origin of Siberian is unclear to me. It diverges from Han very early and first seems to align with ANE rich Beringian component before it diverges and often it contains a small Native American part at lower levels. In some admixture runs there is also some Han at mid K level but not always. If you're talking about ANE affinity in your typical ADMIXTURE run's components, "Southeast Asian" and "ASI" have less of it than "Siberian", a lot less. ASI clades with pops like Dai and Onge. Siberian is usually ENA/ANE mix peaking in something like Evens or Nganasans, and those are much closer to MA-1 than Southeast Asians, usually about S-C Asian level and ahead of Iranians etc. "We have now quite a lot of Bronze Age yDNA from Altai and it is Q and R1a. So, if the Turkic proto-language diveloped in that area, those two haplogroups should be considered. However, we also know that there was one C-M217 among Andronovo samples. ´"
You are trying to explane modern distibution of Haplogroups with modern distribution of autosomal DNA. That is the wrong way. Ancient Siberians such as Mal'ta were genetically much more akine to modern West Eurasians and Amerindians than to modern SIberians. Just because of the presence of R1a and Q in Siberia that doesn't say much about the original autosomal signature of those people. In fact most scientist agree that R1a in Siberia is the remnant of East Iranic groups and possibly Yuezi. I can't think of any scientific paper claiming that R1a is connected to ENA ancestry. We see in Central Asia how ENA mixed contries have less of the Mal'ta related ancestry than countries in the same region with less ENA and more Near Eastern ancestry. "Kurti I basically agree with you about Siberian, but the origin of Siberian is unclear to me. It diverges from Han very early and first seems to align with ANE rich Beringian component before it diverges and often it contains a small Native American part at lower levels. In some admixture runs there is also some Han at mid K level but not always." You are correct in that. "Siberian" seems to be a rather later arrival in Siberia from what is nowadays China. But I disagree that Siberian is a fusion of ANE and something Han like. More like modern Amerindian is a fusion of ANE+SIberian. This could have two possible explanation. modern Amerindians are the result of two out of Siberia waves. First wave a Mal'ta like group bearing ANE and a second wave (after Han like component took over Siberia) of ENA like people. Thats one explanation. Second explanation is Amerindians only have one major ancestor and this ancestor what a fusion of local Mal'ta like population which fused with a "Han like" people. After these Amerindian ancestors left for America. ENA type people constantly moved into Siberia and deluted the ANE component. "If you're talking about ANE affinity in your typical ADMIXTURE run's components, "Southeast Asian" and "ASI" have less of it than "Siberian", a lot less. ASI clades with pops like Dai and Onge. Siberian is usually ENA/ANE mix peaking in something like Evens or Nganasans, and those are much closer to MA-1 than Southeast Asians, usually about S-C Asian level and ahead of Iranians etc." THat is absolutely false. I have never seen a single paper or study claiming that Siberians have same level of ANE as S-C Asians heck even the map posted above shows the with significantly less. You are mistaking 2 dimensional PCA plots with actual ancestry. Siberians have less than half of ANE ancesry as Pashtuns or Kalash as comparison. that is a fact. When I say the ASI and Southeast Asian components have more ANE ancestry that doesn't automatically mean the Onge and Southeast Asians have more ANE ancestry. It's the terms what seems to confuse many people here. Here the ANE figures for Kazakh and Kirghiz. average ~16% on level with West Asia, even less than Iranian, Kurdish or Georgian ANE figures. The ~16% ANE can be explained perfectly with the West Asian and European ancestry of them. Mongols even have an average of ~12%. The trend is clear the more ENA and less West Eurasian or Amerindian ancestry the less ANE. This sort of relates to the discussion. There doesn't seem to be much Steppe-mtDNA in India at all. 70%+ is M/R lineages that are pretty much unheard of in the Middle East and Europe. Of the 30% lineages closely related to whats in Europe and the Middle East(JT, R0, U, N1, W, X), 80% is U2(xU2e), U7, and U1. The rest of their West Eurasian lineages are a mixture of W, X, U5a, T, and J. At like the very most 1-5% of Indian maternal lineages are of Steppe-origin. The same goes for Iran and the rest of West Asia. U5a and U4 are such novelties there, I don't see room for much Steppe maternal lineages. They share a lot of non-U lineages with Yamnaya but that could be from "Teal". Also, Indian mtDNA is pretty interesting. They're very differnt from neighboring people in Afghanistan. 80%+ of Afghan and Iranian mtDNA is "West Eurasian", while only around 30% of Indian mtDNA. Plus, most Indian West Eurasian mtDNA is in "South Asian" U2 subclades. I haven't looked into their M/R yet, but I doubt it has many connections to anyone else in Asia. Their other West Eurasian lineages show connections to West Asia(U1, U7) and not so much to Neolithic Europeans. So, anyone arguing for genetic-discontinuity in India since Harappan times or earlier will probably be proven wrong. I know South Asians are autosomally very mixed, but at least in mtDNA there's probably been local-evolution for a very long time. I don't think anyone has ever argued that Indian mtDNA wasn't in large part native to India. And yeah, the D-stats above and the peculiar Indian mtDNA haplogroups, like Indian-specific subclades of U2, make me think that ANE is part of ASI, and there may have been a cline of increasing ANE from south to north in South Asia already before the Neolithic. I think you are very right with your proposals:). On the Origins of Turks what is your suggestion on this?. Me also I was perplexed by the high level of R1a among Kyrgyzes in contrast to their autosomes. According to this study it is possible that this is a recent founder effect. ""Low diversity of Kyrgyz R1a1 indicates a founder effect within the historical period."" "I can't think of any scientific paper claiming that R1a is connected to ENA ancestry." Nor did I. I specifically said that R1a-Z93 was IMO originally ANE and/or EHG. R1a-Z93 is too young to be an EHG or ANE marker. It's a Bronze Age steppe/forest steppe marker which has managed to reach high frequencies in Central and South Asian populations during and after the Iron Age. Davidski, if R1a-Z93 developed in Sintashta area, as you claim, didn't it have mostly EHG and/or ANE? If it came from a more Westerly location it should have had also ENF. If it originated in an area closer to India, its ANE share should have been higher and ENF absent. Do you mean that I should have used the term Yamnaya. Yamnaya is exclusively (?) R1b, so I do not know if Yamnaya can exhaustively explain EHG-rich Corded Ware R1a1 groups. Shaikorth, thank you for a scientific and unpassionate explanation. I very much appreciate it. I still stick to my understanding that proto-Turkic developed close to Altai within a population that was high in ANE, Siberian and EHG. Kurti, I'm talking about formal tests, not ADMIXTURE results or PCA's when I say that Siberian is closer to ANE than ASI or SEA. Nganasans or Evens don't have significant Near Eastern ancestry, in fact it's about nonexistent in them. They are fully or almost fully Siberian if the Siberian component you mean is the usual Siberian appearing in ADMIXTURE runs. Why do you think those northern Siberians show S-C Asian level relation to ANE in formal tests despite not getting nearly as much ANE in some ADMIXTURE run? It's because the other components they get in that run (some sort of East Asian) are more related to ANE than Near Eastern, ASI and such. Perhaps ADMIXTURE-based ANE calculations also underestimate Siberian ANE, Flegontov et al. got 30% ANE for Nganasans when modeling them as mixes of ANE and Dai using f4-ratios. "When I say the ASI and Southeast Asian components have more ANE ancestry that doesn't automatically mean the Onge and Southeast Asians have more ANE ancestry. It's the terms what seems to confuse many people here." It's relative of course. ASI and SE Asian are more related to ANE than West African or Papuan components would be. But not as related as Siberian or really any component that peaks north of where they're centered. Kurti, according to the spreadsheet you posted, Kazakhs are 16-19% ANE, Kirghiz are 15-19%, Khakass are even 20-25% ANE. By contrast, Lithuanians are 17-19.5% ANE and Iranians 13-22% ANE. However, Shor and Khakass have 21.6% Ket component while Altaians have 20.5%. Kazakh have 14% and Kyrgyz have 12.3%. That component should be for the most part ANE and it is Central Siberian/Altai -specific and in no way Indo-Iranian. In the end, I think that ANE in Kazakhs, Kyrgyz and Khakass comes from all corners, excluding China. I take back some of what I just said. There looks like there is a decent amount of U5a+U4 in Iran, and I just started looking at Afghan-pops. In India/Pakistan there is very little Steppe-maternal heritage but that might not be true for parts of West Asia. I think the Caucasus might have a lot considering their high ANE. I looked at the Kalash mtDNA data I've read about from Wikpedia and posters. There are clear founder effects and in 44 samples 13 haplotypes. 4 are typical of West Asia, 4 are typical of Steppe(Yamnaya, Sintashta, etc. ), and 4 are generic West Eurasian. 50%(N=20) have U2e/U4 but one U4a1 haplotype has 12 members so clearly a founder effect. 0% had South Asian or East Asian lineages. Yes, I agree that additional ENA crossed the Bering Strait as Kennewick man had some Siberian which Anzick did not have. Saqqaq was also related to a Ket-like Siberian population, but modern Eskimos are much less Ket-like than Saqqaq, so, later on, there was an Alaskan revival. Native Americans formed in Beringia 20 kya ago, and populations with HAN component must have evolved and changed significantly after that and we do not even know what kind of ENA was in Beringia at that time, so we really cannot say that Native Americans result from an admixture of ANE and HAN. By the way, did you notice that some "white Turks" carried Y-DNA R1b and N1c1. Someone on Anthrogenica explained that "the R1b/N1c combo is from the Europoid area of the catacomb style burial rite, more to the north. They are considered Alanic." Indeed! And I may stick to my understanding that the ANE component and its people were diluted and driven to extinction due to IE expansions. That some ANE was subsequently integrated within the IE network and reached Europe by gene flow is only secundary to the success and expansion of the IE network. For understanding the origin of IE we should filter out again ANE and devolute the 'eastern Neolithic' construct. Celtic, Italic, Balto-Slavic, Germanic, Indo Iranian all without a doubt came out of RUssia/Ukraine in the Bronze age with people who were high in ANE. The only IE languages left that could have another origin are in the Balkans and Anatolia/Armenia. Maju and Rokus, you're utterly clueless about everything that has been published on the ancient genomics of Europe in recent months. Are either or both of you taking heavy medication of some kind? Well, this is your blog of course. That's got nothing to do with it. You're just not making any sense. Anyone who's looked at the recent data has to admit that the Kurgan theory looks better than ever and supports a massive demic expansion from north of the Black and Caspian seas at least to North and Central Europe and Central Asia. Maju's coming from the opposite direction to you, but he's also talking a lot of crap. What is wrong with you two? There was a massive demic expansion crossing the Oder in the West and the Volga towards the east, where did I say otherwise? However, I don't agree these migrations emanated from the Steppe, at least not immediately. An ultimate origin closer to Belarus is more to the mark, somewhere on the contact zone between TRB and Comb Ceramic culture, the latter according to some at that stage already heavily influenced by TRB. ANE was acquired by substratum, while 'Eastern Neolithic' may actually be up to 80% WHG and 20% Basal European that had diverged from Stuttgart Basal European up to a few thousand years earlier. We need more Neolithic genomes to decide were it came from, directly from Anatolia, just next door in Poland? Or where exactly it entered the IE network and how it rippled. Anyway, the observation this component doesn't fully derive from Stuttgart should not be any surprise. Ah, and neither do I think this demic expansion was completely foreign to its predecessors on the North European plain, that include TRB and Swifterbant. Some kind of back and forth thing. @David: As you know well, I strongly disagree with the notion of a demic expansion from the Volga-Ural to Central Asia and Southern Asia. You argue this is because of Z93 and I say Z93 clearly shows the opposite trail: from Southern Asia to Central Asia and finally to Samara in form of terminally derived branches. Hence Z93 has nothing to do, in all appearance, with any Kurgan expansion of demic type. On the other hand some non-Z93 Kurgan Y-DNA in Afanasevo (if I recall correctly) potentially confirms an early demic expansion to that area but of no consequence, because all the R1a of the region modernly is Z93 (and rather quite derived). You call this "talking crap"? I call it sticking to the facts. As for Central Europe we see some signature in autosomal DNA (whose exact dimension is still not well gauged) but the Y-DNA again does not look like coming from the Volga-Ural but from much further West: Ukraine or Poland. Again sticking to the facts. So in general it seems that various peoples were co-opted in the process of IE/Kurgan expansion, which anyhow took many generations even if just counting the initial phase around Central Europe mostly. It's much like Slavic expansion into the Balcans: the language is Slavic, the identity is Slavic, the culture is at least partly Slavic... but the Y-DNA is unrelated to the Slavic homeland. Co-optation of new groups as part of the process of expansion seems to have been very common within IE expansions, early on and later on. You can cry a river but that is what the data says. What the hell are you talking about now? No one's yet tested any Afanasievo Y-DNA. But we have plenty of Z93 from Middle Bronze Age Kurgans from the Urals to South Siberia, accompanied by European autosomal DNA and mtDNA. There's nothing South Asian about these samples. They came straight to Central Asia from the former Corded Ware horizon, where we have ancient M198 and 417. "What the hell are you talking about now? No one's yet tested any Afanasievo Y-DNA". I have memory of someone leaking via comments in this blog, maybe two months ago, that some such Y-DNA had been tested (but not yet published) and that was R1a negative for Z93, so the researchers (who may have been Chinese?) thought it could well be European by origin. However I don't discard having confusion about the exact culture/period involved as I'm purely relying on my memory. Does someone else recalls the details? "But we have plenty of Z93 from Middle Bronze Age Kurgans from the Urals to South Siberia, accompanied by European autosomal DNA and mtDNA". Indeed but is it "European" or simply West Eurasian? How can you discern them? I think we all agree that R1a is West Eurasian, what we don't agree is where in West Eurasia it expanded from. In my previous comment I said "Southern Asian" by which I meant to imply Iran and nearby areas, which do seem to include the NW part of the Indian subcontinent for a particular Z93 subclade (Z2815) but otherwise not really important. Sorry about not being precise enough with the terminology in this case. "They came straight to Central Asia from the former Corded Ware horizon, where we have ancient M198 and 417". That simply does not fit the available data for Z93 in particular and for R1a in general. You can repeat it all you want but that is not any argument. Z93 very clearly has a South-North expansion pattern, R1a in general also. Intermediate stages such as M417 are blurry and somewhat debatable but the bulk of the data keeps pointing to Iran and Kurdistan, or at most to a strip between South India, Iran-Kurdistan and Hungary-Netherlands-Ireland, which does not seem to have any relationship whatsoever with the steppes. In the diffuse interpretation of this data the M417 stage is quantum-style "undetermined" between Central/NW Europe and the Zagros, producing two major derived branches: (a) Z282 in the Corded Ware area and (b) Z93 in Iran-AfPak. No steppes anywhere but as final destination. The Tarim Basin mummies apparently belong to R1a(xZ93). We don't really know if they have anything to do with Afanasievo. They might, but I think Afanasievo will turn out to be R1b. In any case, what do the Tarim Basin mummies and their R1a got to do with the obvious European provenance of Sintashta, Andronovo and other Kurgan people rich in Z93? Z93 does not show a south to north expansion pattern. It obviously expanded from the steppe into West and South Asia during the Bronze Age with the descendants of Corded Ware people. "The Tarim Basin mummies apparently belong to R1a(xZ93)". Alright. I stand corrected. Thank you. "In any case, what do the Tarim Basin mummies and their R1a got to do with the obvious European provenance of Sintashta, Andronovo and other Kurgan people rich in Z93?" Actually Shintashta (and the derived Andronovo culture) is Euro-Asian origin → map: in red Sintashta, in orange Andronovo, pink indicates early spoke-wheeled chariots, which are all in Asia. Of course the Asia-Europe border is nowhere blurrier than in that region between the Ural Mountains and the Caspian Sea but Z93 in Europe is only found (in terminal branches) in that area, so for all Y-DNA purposes the whole region is "Asia". What you are not paying attention to is to the very apparent phylogeny judging on the haplotype network of Underhill 2014. That network clearly indicates that Central Asian branches of Z93 are derived from West (and sometimes also South) Asian roots and that the Volga (Samara) branches are derived from the (already derived) Central Asian ones, hence terminal and not possibly ancestral. Unless you are managing data I don't know about (but in this case I'm pretty sure you are not) that is what we have re. Z93. While Andronovo does expand from West to East and SE as culture, we can't find a genetic trail of that expansion. It is a clear case of "pots are not people", even if "pots" may still be and probably are language, culture, religion and ethnic identity. If Z93 had a similar distribution as it has today (and nothing suggests otherwise), then Volga Z93 arrived from Central Asia before Sintashta or with Sintashta at the latter. "Z93 does not show a south to north expansion pattern". · Z93* has three apparent distinct branches stemming from West Asia (incl. Caucasus) and another one from South Asia/Altai (1). Therefore the origin of Z95 should be though as West-South Asian but undecided between either region. Say Afghanistan for example. In this case I would say that West Asia is almost certainly the origin, although tending to Central/South Asia. For example: Iran again. I do not know if a West Asian origin of Z93 is so apparent from that tree. The two rare branches of Z93 (xZ94) are found in Europe and one branch is found in Pakistan. Instead, Z94 which is under Z93 is found in India and Central Asia but also elsewhere; according to the tree, it is found in Germany, Italy, Pakistan, Sri Lanka, Bangladesh, India, Arabia. For curiosity, I also checked R1a (xM417) samples in that haplotree. Unfortunately, I could not find the geographic origin of the first branch, YF03626. The second branch has been detected in Belarus (BLR) and Tunisia (TUN). Unfortunately, the two samples in R1a-M198 (xM417) are again without a geographic origin. I do not claim that the rare variants that Underhill detected do not exist but rare variants are found also elsewhere. Davidski, what is the Karelian hunter gatherer's position? Is he R1a (xM417) or even R1a (xM198)? Yes i quite agree with you on the R1a case. Correction! In my list, Germany seems to be Bulgaria. If abbreviations are used, they should always be explained. That y-haplotree is good, but it is not so easy to recognize the codes. @Kristiina: Yfull is not easy to follow. Neither authors nor references are available. "The two rare branches of Z93 (xZ94) are found in Europe and one branch is found in Pakistan". Based on what? A well balanced academic survey or private genetic ID-ing business whose >90% of customers is from NW Europe or its colonies? I just mentioned three different haplotype-defined Z93* sub-branches, none of them in Europe, all taken from an academic survey and you are opposing to that non-random (biased) data from commercial recolection that will always find much more diversity, for almost everything, around the North Sea just because that's where customers are, where money and the fad is. Let's be serious, please. We need much more ancient yDNA with an autosomal analysis in order to be able to identify the origin of yDNA lines, and even in that case disagreement will not cease as there is always someone who argues that a certain haplogroup accidentally was not detected in a given place or that a particular yDNA existed in a certain place but the area has not been analyzed or that a particular yDNA existed in the area under analysis before or after a certain event, depending on what he/she is set on to prove. Maju doesn't have a clue what he's talking about. Eastern European hunter-gatherers with a big fat zero Near Eastern admixture carried R1a. Also, all of the main lineages below R1a-M417 are found in Europe (CTS4385, Z282 and Z93), and one is exclusive to Europe (CTS4385). R1a-M417 is obviously an European lineage which expanded with the Corded Ware Culture during the Eneolithic from Eastern Europe. What this means is that R1a-Z93 in Asia is just a subset of Eastern European R1a. We have now a lot of ancient R with an autosomal analysis (including a 24 kya sample), so its prehistory is much better known than the prehistory of all other haplogroups. IMO, North Eurasia/ Central Asia probably had R1a(xM198). However, the expansion of R1a(xM417) to Central Asia and West Asia is not settled and neither the place of origin of R1a-Z93: it may be closer to Europe or closer to Central Asia. According to the haplotree I made reference to, R-M417 formed 8500 ybp, TMRCA 5500 ybp; R-M198 formed 14400 ybp, TMRCA 8500 ybp; R1a-Z93 formed 5000 ybp, TMRCA 4800 ybp. The earliest R1a-Z93 to date are from Sintashta genomes, which are fully European in terms of genome-wide ancestry. Sintashta is supposed to be derived from late Corded Ware archeologically, and we have Corded Ware samples with R1a-M417 (ie. ancestral to Z93). What else do you need, an affidavit signed by these people? Was Sintashta only R1a-Z93 or were there also other lines? If there was only R1a-Z93 and more than 1 sample, then the probability that it came from Europe is higher. At the moment, the situation does look good for you. What is your opinion on Swadesh List, How Significant do you think it is?. @Davidski: The one who has to deal with the facts of Z93 structure (etc.) is you. I can't put it easier, more clear than I have already done. The final step of understanding (or just accepting, if you already understand it) why this is a major obstacle to the steppe origin hypothesis of R1a (would be R1a1 if anything) expansion that you spouse. Reality is stubborn and science is not meant to bend reality to ideas, but to bend ideas to reality. It is easier to compile a Swadesh list than a dictionary or a lexicon with e.g. 2000 basic words so it is good to have at least a Swadesh list of all endangered languages. However, I do not believe that comparison of Swadesh lists is very useful in long range comparisons that go beyond a language family in order to prove the relatedness as cognate words probably cannot be recognized any more or have a different meaning, but if there are several clear cognate words between languages that belong to different languages families but are geographically close, the similarity should not be accidental. By the way, you can find my email address in your blog. I can't:), Did you post?. BTW I did a short and quick comparison BTW IE and Uralic and found these words, matching. In line with my post above, I would say that those matches you listed in your comment are not accidental, and even more so considering the autosomal affinity that Davidski has shown us in his graphs. Just post your mail in a thread, i wont publish:). in Germanic there is Baum 'tree' from that root, but different suffix. Nirjhar, those IE - Uralic comparisons are all from Jaakko Häkkinen's work. So, you do not trust all his comparisons? There seems to be also a proto-IE Swadesh list (https://en.wiktionary.org/wiki/Appendix:Proto-Indo-European_Swadesh_list) and Uralic Swadesh list (https://en.wiktionary.org/wiki/Appendix:Uralic_Swadesh_lists). Ýou can also compare them, if you want. You may even discover some new cognates, although I think that if they are found, Häkkinen was aware of them and has rejected them for some reason or other. Nirjhar, How big was your reference Swadesh list, if there was any? IE *bheh1- → U *pexi- ‘to cook’? There are also other words that are not included, e.g. só/ sov/ suola, salt; *śorwa horn, *kulke- walk, PIE *kwelH, ist-/ast to sit avestan āste, to burn pala-, vige strength, cfr latin vĭgŏr. Then there are other shared roots that are found also in other non-IE languages like *ker for bark. The list is endless, but the problem is that many Swadesh words vary in different Uralic branches so that it is impossible to find a common root for many basic words. You can pick up a word and very often there is a IE cognate word somewhere. Only in Samoyedic or Ob-Ugric branches it may be easier to find words without IE-cognate words, but I do not think that that is a good criterion for identifying a Uralic root, i.e. that it is only found in one or two most remote branches without any regular sound correspondencies in daughter languages. Yes I was doing between Sumerian and IE (Swadesh) and got quite a few (The Actual list between Sum and IE is way bigger in case of common vocabulary). Yes I don't trust all of his, they look a bit stretched, anyway, i will proceed carefully. The criticism is probably right, the comparisons are far fetched an based on Finnish which has probably an IE substrate, i will check that list though. Nirjhar, your problem is that you have a firm objective that you want to attain and then you try to find evidence to fit your model discarding the contradictory evidence. I think that it is better to compile evidence on the basis of some neutral principle and then see what the result suggests. Nirjhar, am I right that your objective is to prove that Proto-Indo-European developed in the Harappan cultures which brought agriculture to India and in your model R1a1 was the lead haplogroup of that culture? You are interested in Sumerian because Sumerians were also agriculturalists and you want to prove the connection between Near Eastern and South Asian Neolithic cultures. My objective is absolutely the reverse:) of what you said, i see things first and then conclude rather concluding first and then look for stuffs to support, which is actually the case of Kurgan Hypothesis. No In IMO PIE Developed in North of Iran-Central+ SC Asian area. on the upper basins of the rivers Kama, Pecora and Vycegda. around 3000 BC. He also sees borrowings from Tocharian in Samoyedic. In Mari, Mordva and Fenno-Saamic there are influences from Baltic, in Finno-Saamic from Germanic. 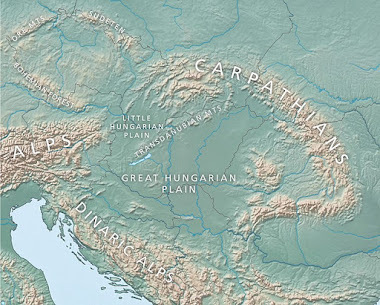 Hungarians are influenced by Sarmatian-Alanic and Pannonian Slavic. So, nothing at the root level according to Blazek, just contacts after the dispersal. at that time could start loanwords close to Tokharian but probably also more ancient. On the pronoun stems, I think they are a typical basis of the Nostratic theory, so not unique of Uralic and IE or IE and Sumerian either. Nirjhar, I thought that you would follow Underhill as he argues that R1a arose in Iran. If PIE in your opinion developed in South Central Asia, what do you consider as its archaeological culture and timeframe (Bactria Margiana?, ca. 2300–1700 BCE). How would you explain that there is a special connection genetically and linguistically between Lithuanian and Proto-Indo-European? ša3-U.NU-a "a type of thread"
With all these comparisons between Sumerian and usually southern IE languages are you sure that you are not tracking the lexicon of Neolithic farmers? On your site you cite many words that are related to the agricultural world. In my opinion one problem with IE comparisons is that IE languages offer much too many synonyms for a concept. There are often 5-10 synonyms for basic words. Häkkinen's analysis is very detailed and well-grounded. If you are aware of a similar analysis by Blazek, please post me link. I think that we are again back on that Siberian stuff which exists in northern Uralic languages, in particular in Ob-Ugric and Samoyedic branches. Can you tell me what is Blazek's proposal for the archaelogical context of the Uralic proto-language? In any case, DNA analyses will probably resolve this issue if only we get enough DNA results from Finland, Baltic area and North Russia from the Comb Ceramic period, Bronze Age and Iron Age. The Conception that N Iran was the place where PIE develop was there sometime before the Underhill Update on R1a, but when it came out, we thought it goes parallel with the understanding, so we included it. No, i'm 1000% sure that we are not tracking non IE farmers lexicon (Substratum) which for instance are found in European (mainly South and western ) IE languages:). The list is impressive and we didn't include words which are not IE, On Fish and Dog yes its not there on the Dictionary but of course the valid reference and reason is given and you are more than welcome to join the debate as we need person like you with solid linguistic approach!!. Yes, that is true but also in case of Sumerian, but we have to work with which looks comparable and connectable of course. About Lithuanian we can say why the closeness should start from Europe instead than from Asia? Lithuanian has preserved archaic features because of isolation, anyway, but the closeness with Sanskrit shows that it should have left the Indo-Iranian community quite late, i mean they even have the Ashvin gods!! Yes I want to deepen the knowledge on Uralic folks history, can you provide his researches or links? if they are in English and available,As i must know more on his POV. Migration" (Ness and Bellwood), it is not even a pdf!, you can try to search for it, but i think it is not yet available for free. plants and animals) and contacts with other languages (including Turkic). From his map it is clear that Kelteminar is not included in the Uralic homeland. Yes I agree with you on aDNA :). Many articles I have read are basically lists of different borrowings from here and there. There are Proto-Indo-European loanwords, Proto-Aryan loanwords, Northwest Indo-European loanwords, Tocharian loanwords, Aryan loanwords, Baltic loanwords, Germanic loanwords, Turkic loanwords, Russian loanwords etc. Only thing that many researchers want to see as genuine is this Siberian stuff such as shared words with Yukaghir. IMO, it is all quite tiresome and unfair and I am waiting for ancient yDNA results to shed more light on all this. Thanks:), but please give me work links of Jaakko Häkkinen:). I think they cover most of his works?. However, maybe I will write one day an essay "God, we even borrowed our genes!" hahaha! well i agree ;), thanks a lot for the links:). The author presents the linguistic history of the Uralic language family, comprising mainly hunter-gatherer populations on the northern fringes of Europe and western Siberia. The family also includes Finnish and Hungarian, both national languages today. "Hunter-gatherer populations": to my knowledge only hunter gatherers are Nganasans. All the rest are agriculturalists or reindeer herders and Khanty's ancestors are said to derive from the prehistoric metalworking Andronovo Culture. "Northern fringes": Hungary is not any northern fringe nor Estonia or Mordovia. So the abstract already contains two errors. I expected more from him. But he speaks of the early Uralic people. //"Northern fringes": Hungary is not any northern fringe nor Estonia or Mordovia. yes but Magyars arrived there very late. Estonia in north, but also that is not the homeland . Nirjhar, at the moment nobody knows the homeland. As long as Uralic N1c has only been found in the Baltic fringe and N1b has not been found anywhere, it is impossible to claim that the Uralic languages came from the northern fringes of Eurasia or that they were hunter gatherers. At this specific moment, it is definitely better to wait for ancient yDNA data. Nirjhar, didn't you notice this: "The Kets, an ethnic group in the Yenisei River basin, Russia, are considered the last nomadic hunter-gatherers of Siberia." "The frequencies of Y-chromosomal haplogroups in 20 Ket males in this study were also similar to those reported previously for 48 Ket individuals: more than 90% of Kets had haplogroup Q1a (of subclade Q1a2a1 as shown in our study), while haplogroups I1a2 and I2a1b3a occurred in just two Ket individuals." so can we say that the Uralics were at the border with Siberians? east of the Urals, as Blazek says?. I trust much more Häkkinen than Blažek and Häkkinen says that the homeland is in Volga, BUT this does not mean that Häkkinen is right. We really must wait for yDNA and autosomal results as many of the theories may rise or fall with them. New linguistic approaches would also be welcome. Have You taken a look on the Mezhovskaya culture from Allentoft? What You think about that? My impression is that they had some Siberian admixture. Yes, Mezhovskaya seem to have 20-30% Siberian/Native American stuff and that ENA is probably similar to Ket ENA. Their yDNA’s seem to be one R1a1 and one R1b. Their mtDNA's are M12'G, J2b1a and I5c. Mezhovskaya is dated c. 1000 BC. Their area is near the northwestern corner of Kazakhstan. Do you mean that they could have spoken Proto-Uralic? That’s a completely new location for a Uralic homeland. It is not my favorite though. Who knows. Before I utter anything more specific, I want to know a few Comb Ceramic yDNA’s and some analyses from Western Russia and Volga. Yes I mean they could be Uralic speakers. But I don't think it is the homeland of Proto-Uralic. Imho neither uniparental markers and the age of culture don't fit into Proto-Uralic.